This morning, Walt Disney Imagineering added new renderings to Blue Sky Cellar at Disney California Adventure park, updating guests on the expansions of both Aulani, a Disney Resort & Spa, and the new Market House, which will open in September on Main Street, U.S.A., at Disneyland park, serving Starbucks products and a selection of specialty Disney pastries. Above is one of the renderings included in the update, which gives you a little peek at what Market House will look like when it opens. 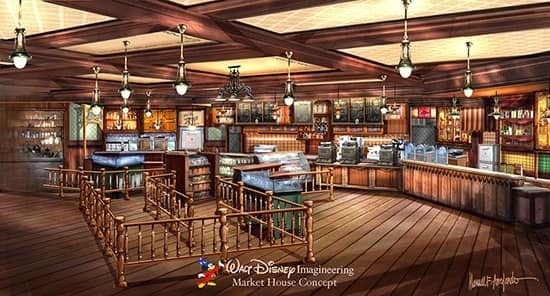 As you can see, it will remain themed as a turn-of-the-century general store – and yes, the stove will be there, too! The new Aulani renderings give guests a detailed look at the new Ka Maka Landing, part of the ongoing expansion at the resort in Hawai`i. You can see these new renderings for yourself inside Blue Sky Cellar now, which will be followed by a larger update this fall. In a previous blog post, Erin said that the checkerboards would be incorporated into the refurbished market house. I don’t think I’m allowed to post a link though. Fred, James and Sean – That is correct; the checker boards will return as well. Another big feature besides the stove and the party lines was the checker board set. Will that remain? I love the design of the new market house, I was curious though, is the checkerboard with checkers still going to be there? My family and I enjoyed playing it while waiting in line. Thanks for this update Erin! That rendering looks great, and thank you for once again confirming that the stove and party lines will still be part of the store! I love the design, but I would like to know about the bigger update coming in the fall. New attractions coming perhaps? How about the Swift Birthday Cake room? 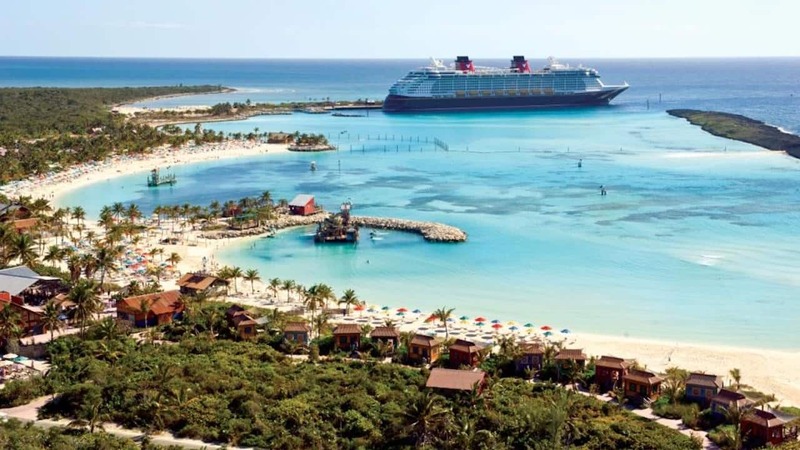 Is that still going to be part of the design of that building, or has it passed along to Yesterland? You’re keeping the old-timey-wood paneling, the stove and the party lines? Good! that’s all I need- well done! Hi Erin! I’m glad the stove will still be in the Market House. Do you know if the “party line” phones on the walls will still be there (and working)? Yes! The phones will be incorporated into the refurbished Market House. the design is very similar to Starbucks on main street at MK.. nice!